This Memorial Day is kind of laid back. I am called to remember those in my life who have moved on. I think most of my father who died a year and a half ago. 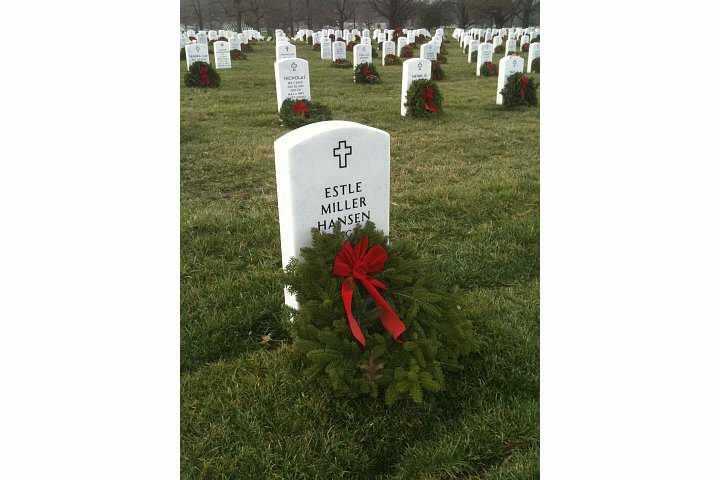 The grave marker is of his grave in Arlington National Cemetery and was taken near Christmas, hence the wreaths. My father was in the Military for 26 years and served in both WWII and Korea. Military life colors my early childhood. All my father's sisters and brother predeceased him as did my mother. He died at the age of 100 and I clearly miss him. Strangely, I have also been remembering people who have been in my life and gone, but are still alive. I am not sure why that is, but I miss them. I don't dwell on missing them but occasionally I do think of them. Have a great Memorial Day weekend and a great Summer.